This book is different from others discussing the same issues. With its easy language and practical examples, the readers will learn how to apply the technique of the realistic mental aptitude. Why do some people who become successful and others don’t? Why do some people achieve everything they attempt whilst others fail? Why are some businessmen and women successful? Why do some people open a business and it works and mine doesn’t’? Why have some sales-teams great sales and mine haven’t? Why are some people lucky in love and other aren’t? In the past things used to go well for me. Why that is not the case any longer? Why can’t I find a job when others have no problems working? Why can’t I achieve all my objectives? This book is different from others discussing the same issues. With its easy language and practical examples, the readers will learn how to apply the technique of the realistic mental aptitude and quickly will see that they’re achieving all their goals. 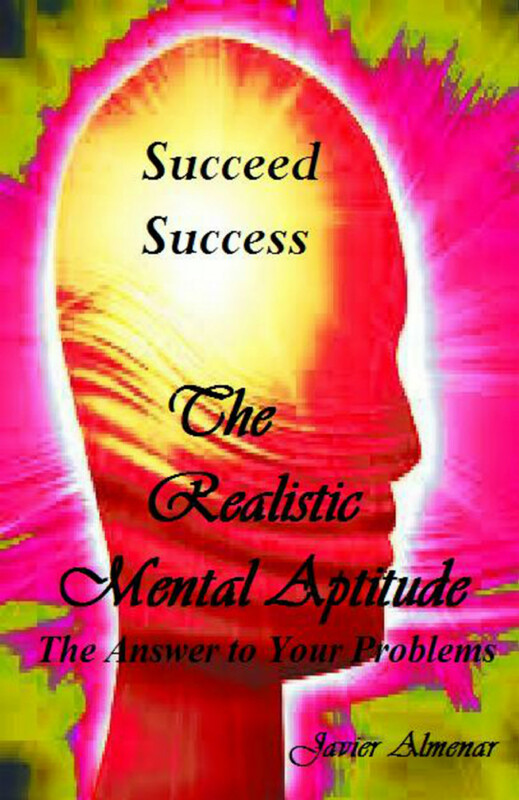 The book “The realistic mental aptitude, the answer to all your problems” it’s divided in two parts. In the first we describe clearly the six steps required to apply the technique of the realistic mental aptitude. The second is the annex where we explain some factors that may help us in our path towards success. The realistic mental aptitude is the mental capacity to undertake certain actions adjusting ourselves the reality of the moment we’re living in. Since its publication many businesses are using it as a guide in their commercial and sales departments, maximising the skills of the workforce and achieving great results. YOUR PATH TO SUCCESS STARTS HERE.